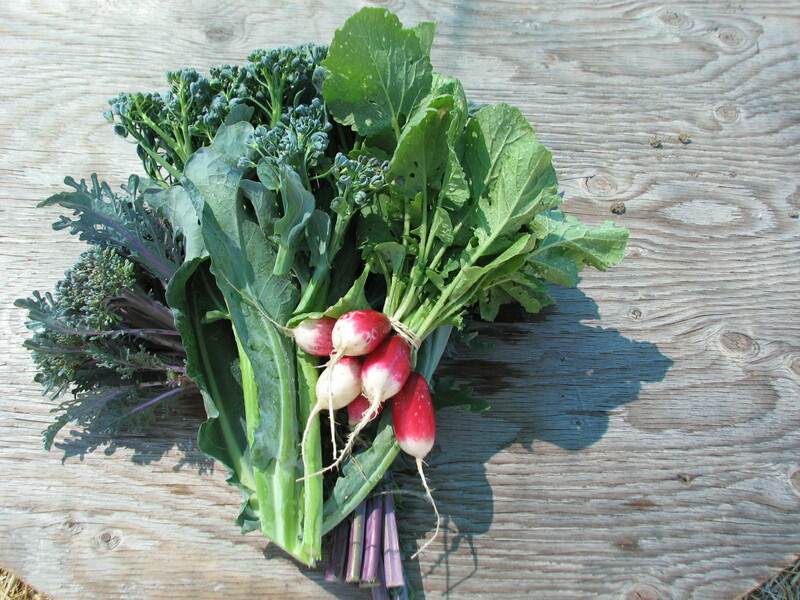 You are here:Home / Recipes / Radish / More than Rad-ish! 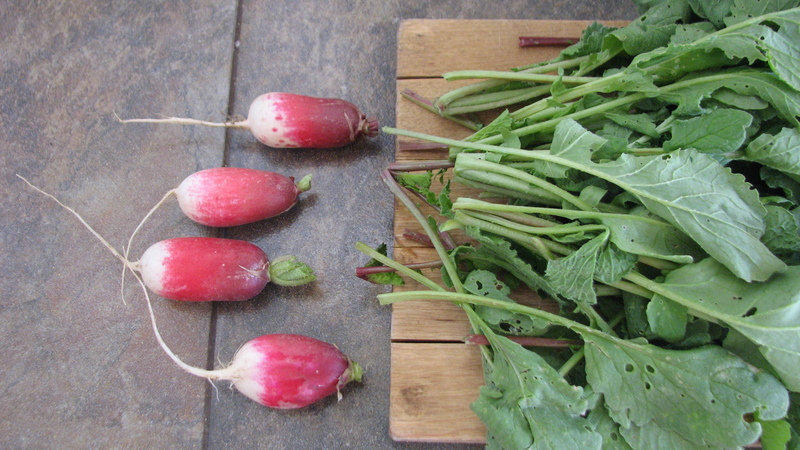 Oh sweet and sharp radishes – they just smile, don’t you think? There is just something about the little things. You just want to squeeze their pink cheeks, give them a penny and say “now don’t spend it all in one place.” They provide something a tad different, beautiful color and a nice snappy, spicy crunch . Little, yet mighty. Maybe that’s the root of my affection. 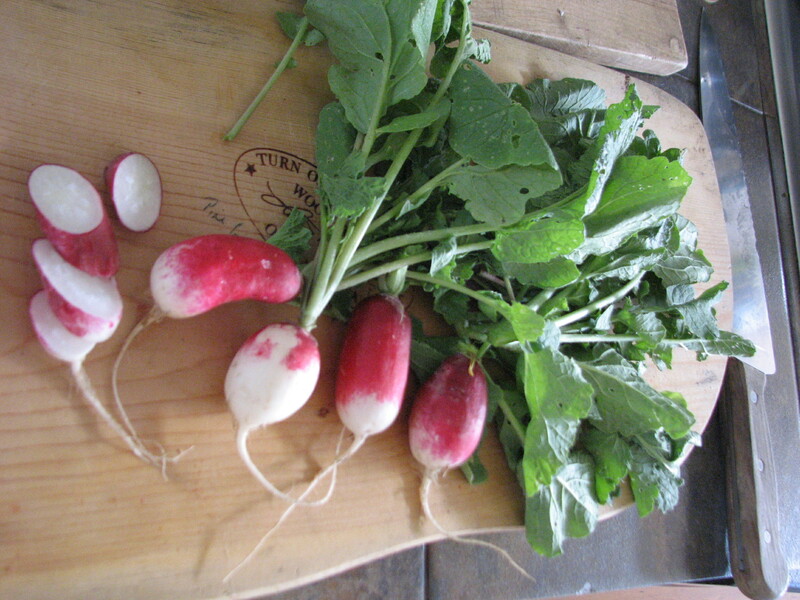 The variety I’m growing this year is called French Breakfast radish. For those folks who like to still use the fodder of years past, you may also refer to them as Freedom Breakfast radishes. This particular variety has a pleasant amount of spice that adds without over powering. This characteristic makes is lovely for raw snacking! In a pan, add some oil. When it is hot, add the mustard seeds, curry and onions. Saute until onions turn slightly brown. Add the garlic and turmeric powder, mix up well. Add the radishes – Cook covered for about 3-4 mins. It’s nice to have the radishes soft, yet crunchy. After you remove the radishes onto a plate, in the same pan quickly you can saute the leaves for a few seconds and add it to the top of the radishes. Great served over rice. Radishes, sliced for garnish * a little lemon squeezed on top was quite nice as well! Add oil or butter to a soup pot and saute onions and garlic until aromatic. Add potatoes and greens. Add broth and bring to boil until potatoes are tender. Allow soup to cool slightly. Ladle into a blender and blend until smooth. Add milk and transfer back to pot to reheat. Yum, I love radishes! I love your image of pinching a radishes cheeks! I agree, they are awfully cute veggies:) Great writing, and great images. I’ll have to try that recipe the next time I nab some radishes of my own at our farmers market (or, even better, from my daddio’s garden!) Keep up the good work Kate! Rad-iant Kate! Something more than veggies are growing in your garden. Any publishers out there? 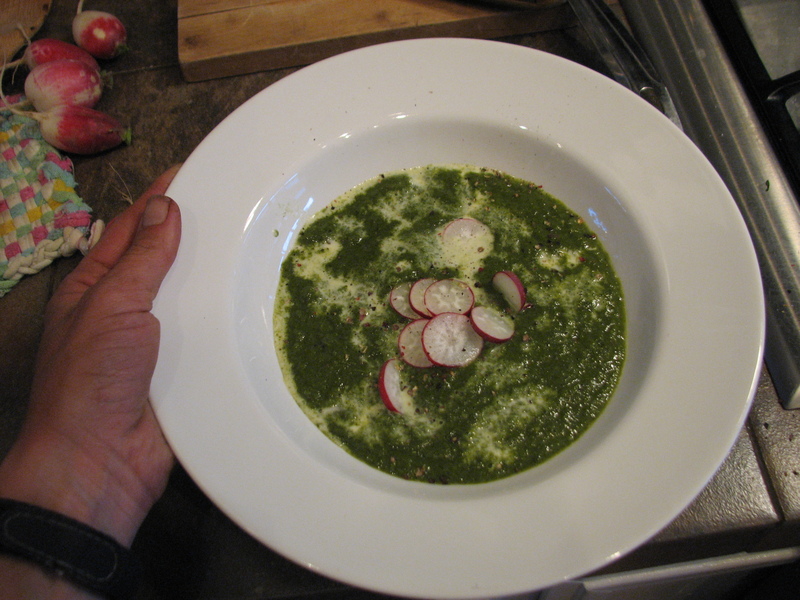 Rick and I enjoyed the Radish Soup last night, you couldn’t get anything better in a five star resturant! 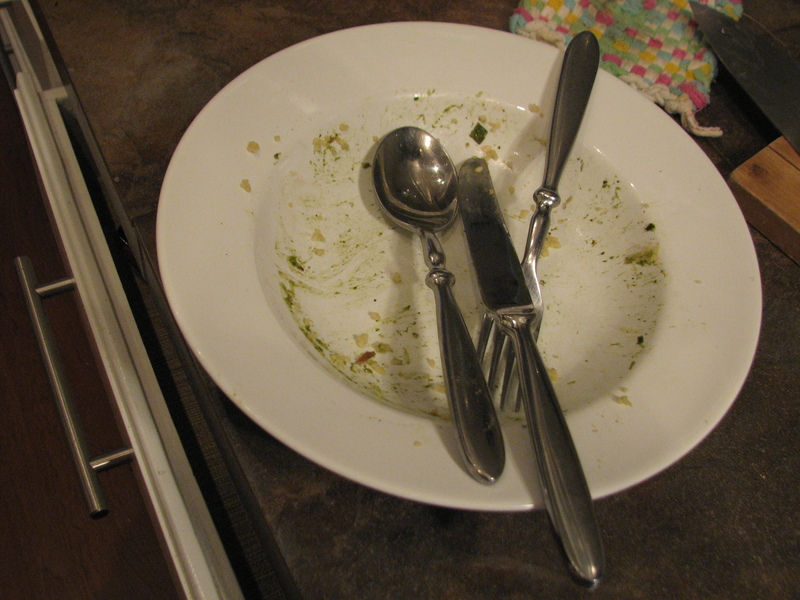 Served with a salad with your parsley & walla walla onions, nice glass of wine, we felt so rich with the bounty and love given to this meal.